Bodies of 17 of the 22 people killed in the stampede at Elphinstone Road railway station here have been handed over to their relatives so far, hospital authorities said today. 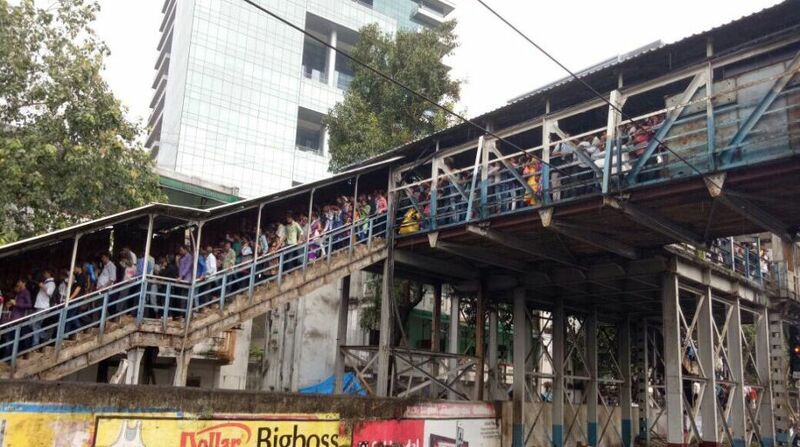 At least 22 persons were killed and 39 injured in a rush hour stampede on a narrow foot-over-bridge (FOB) linking Elphinstone Road and Parel suburban stations during heavy rain last morning. Out of the 39 injured, two are in a critical condition, with one of them being kept on a ventilator at the KEM hospital in Parel. “Bodies of 17 victims have been handed over to their relatives so far,” senior medical officer at the hospital, Dr Praveen Bangar, Said. The hospital administration is yet to decide on giving discharge to the injured patients as most of them are still under observation, he said. “Most of the injuries are either blunt trauma or bone fractures. The patients are admitted to various wards accordingly. The supervisors of the respective wards will review the recovery of the patients and submit report to the higher authorities,” he said. The discharge procedure will be initiated after these reports are submitted, the hospital medical officer added.